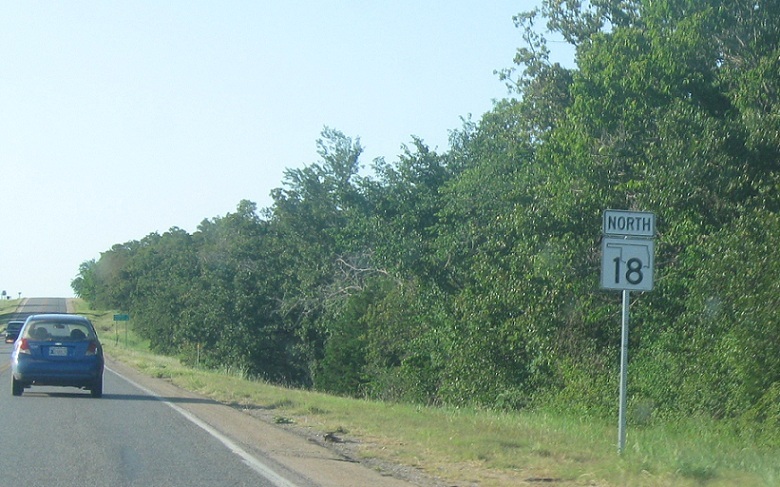 Reassurance shield after the 18B junction. 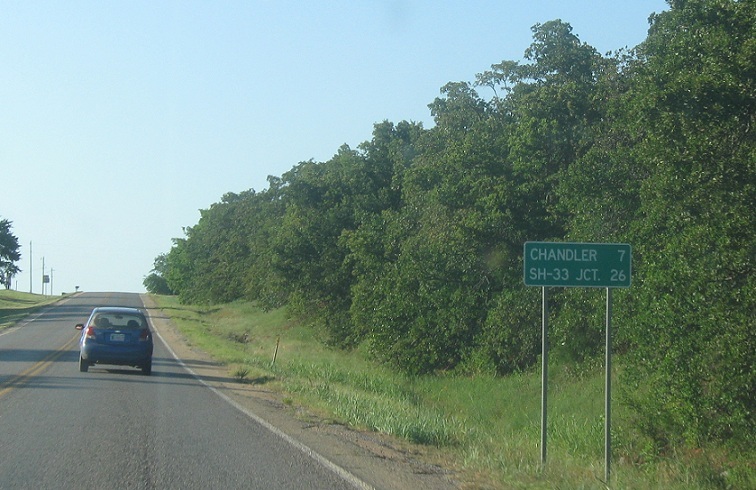 After 18B, we’re 7 miles from Chandler and 26 miles from SH-33. Not quite sure why 33 is noted here. 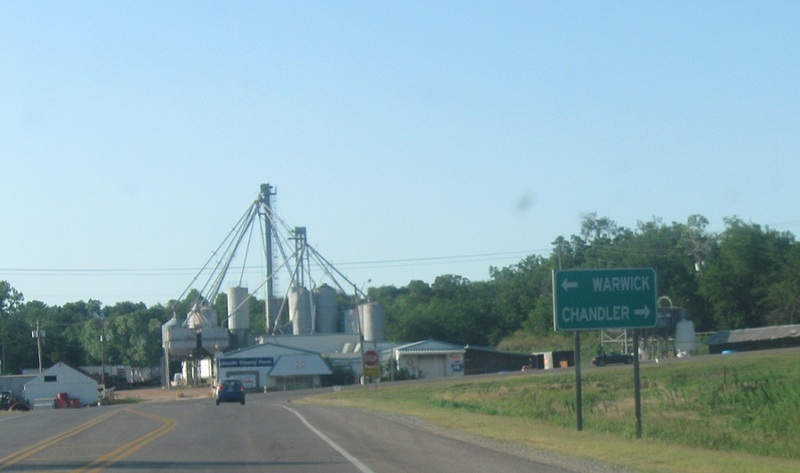 As we enter Chandler, we’ll approach SH-66. Follow 66 west to Warwick and 66 east/18 north into Chandler. 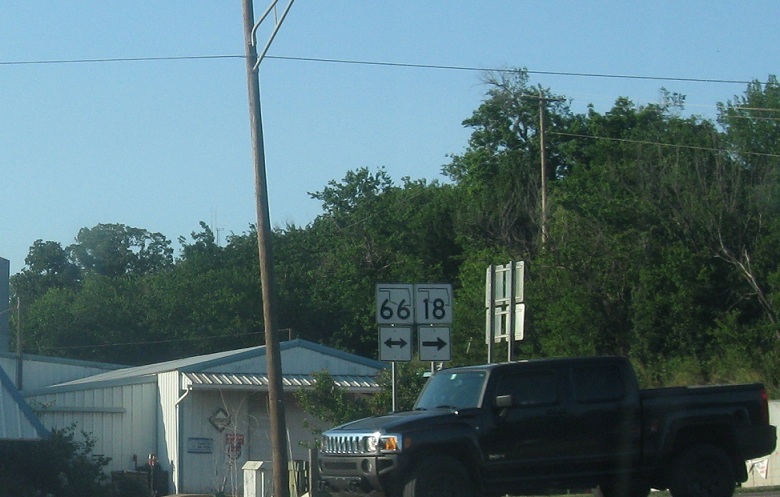 Turn right for 66 east and 18 north. 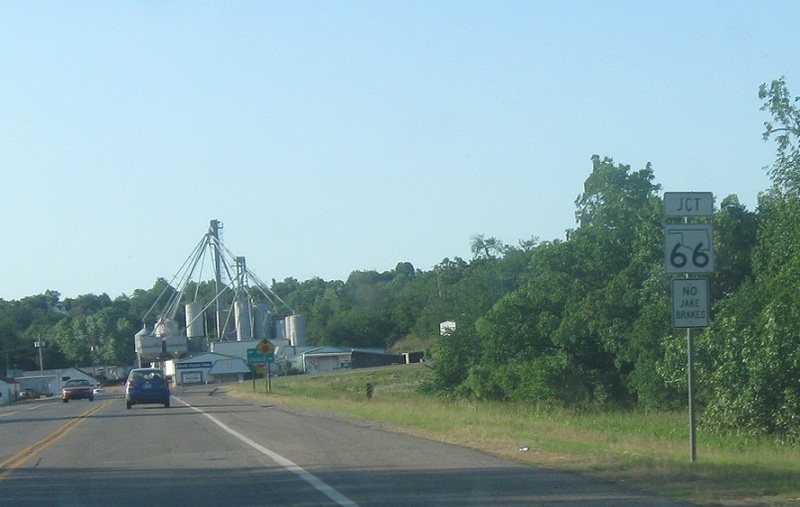 Turn left for 66 west.